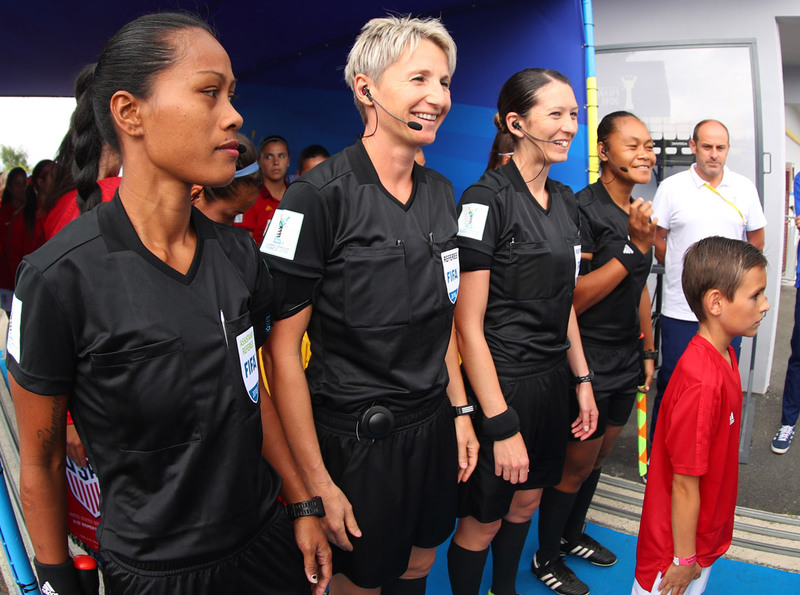 New Zealand Football referees Anna-Marie Keighley and Sarah Jones and Samoa’s Maria Salamasina have been confirmed to officiate at the 2019 FIFA Women’s World Cup in France. The FIFA Referees Committee has selected 27 referees and 48 assistant referees, representing 42 different countries, for the one in every four years global event. Ken Wallace, the Referee Development Manager at NZ Football, said it is a significant achievement for the two New Zealanders. “Anna-Marie and Sarah were at the 2015 FIFA Women’s World Cup in Canada and it is an incredible honour for them to be selected again,” said Wallace. Keighley, who officiates in the ISPS Handa Premiership, is one of 27 Referees / Support Referees while Jones is one of 48 Assistant Referees. Wallace said the Kiwis’ selection to take part in the 24-team event in France is the culmination of a three-year programme by FIFA. Both have worked very hard for a number of years. Keighley, who first refereed an international back in 2010, has officiated at 10 OFC events, four FIFA World Cups (senior and age group) and the 2016 Rio Olympic Games. At the 2015 FIFA Women’s World Cup, Keighley made a name for herself on the world stage when she refereed the semi-final between Japan and England in Edmonton. Jones has also been on a steady progression through the ranks of world refereeing. In the past three years she has officiated at the Rio Olympic Games, the Algarve Cup and recently returned home from the FIFA U-17 Women’s World Cup in Uruguay where she was an Assistant Referee for the Uruguay v Finland pool game in Maldonado. Salamasina was most recently in action during the OFC Women’s Nations Cup, where she was part of the trio which officiated the final between New Zealand and Fiji. She was also on the ground in France earlier this year during the FIFA U-20 Women’s World Cup. Their selection was based on, among other elements, their performances at competitions, courses, game experience, fitness and meeting FIFA’s expectations. They have been required to regularly supply training logs, HR data and records of appointments. Keighley leaves shortly for a pre-tournament course in Abu Dhabi and all three will have further courses next year as well as the traditional pre-competition seminar before the tournament kicks-off on 7 June. The FIFA Women’s World Cup France 2019 will be played from 7 June to 7 July in Grenoble, Le Havre, Lyon, Montpellier, Nice, Paris, Reims, Rennes and Valenciennes. The final will take place in Lyon on Sunday, 7 July 2019. The draw for the 2019 FIFA Women’s World Cup will be completed on 8 December in Paris.